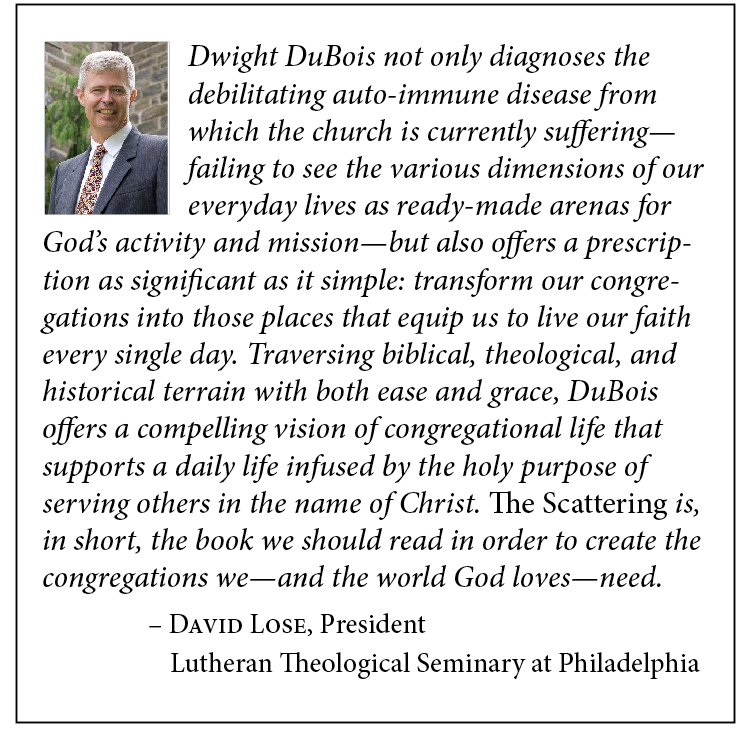 Dwight L. DuBois (MDiv, STM) is a parish pastor, congregational renewal professional, teacher, speaker, and coach. In recent years he has worked extensively on making the connection between faith and life — in congregations, with college students, in seminary curriculum, and with judicatory leaders. 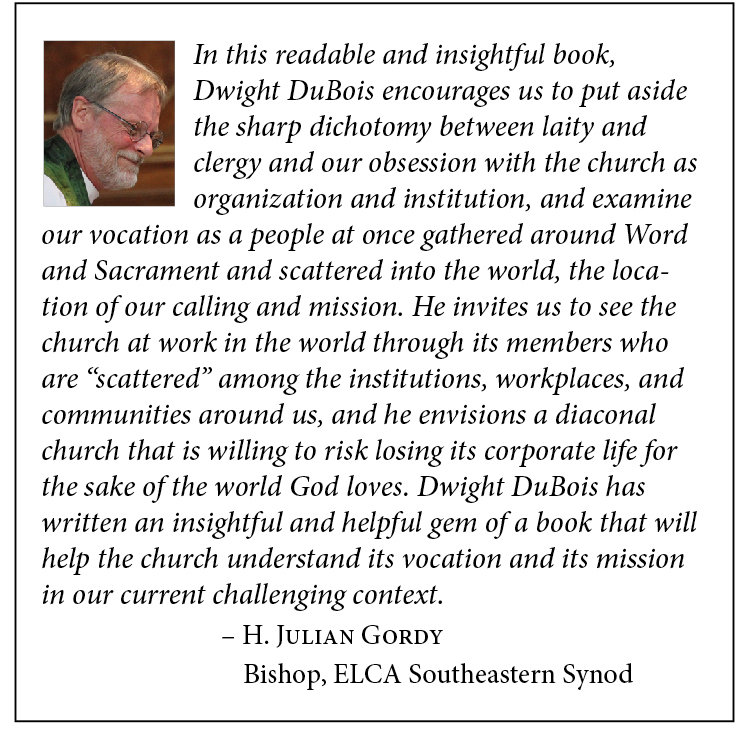 Dwight is a pastor in the Evangelical Lutheran Church in America (ELCA). He served congregations in Jackson MS, Charleston SC, and Iowa City IA. He also has served as an interim pastor. 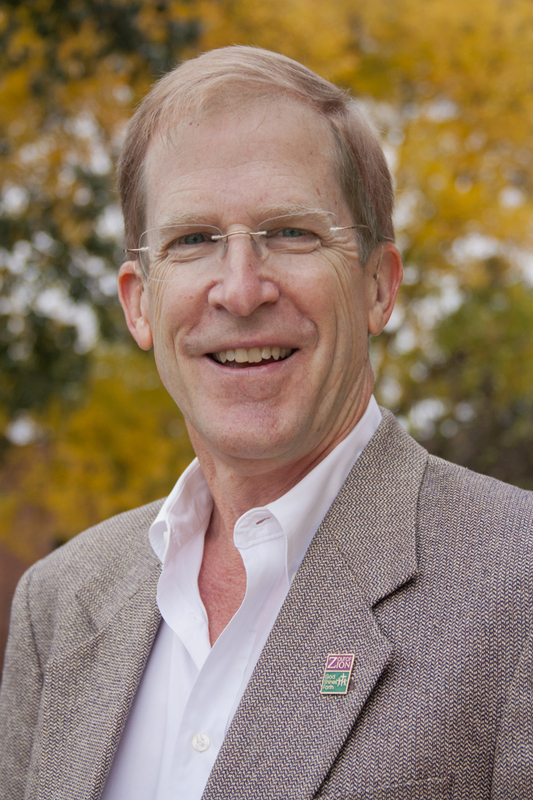 Dwight was the director of the Center for Renewal at Grand View University in Des Moines, IA, from 2006–2014. In that role he worked directly with many congregations and their leaders. He developed and led the Sacred Practice Leadership Series (SPLaSh), a joint venture with the Alban Institute. He moderated an ongoing gathering of judicatory leaders of nine denominations. He coordinated a monthly continuing education forum for pastors. At Grand View he also served as the Champion for Vocation, leading the University’s efforts to make vocation one of the cornerstones of every student’s college experience. 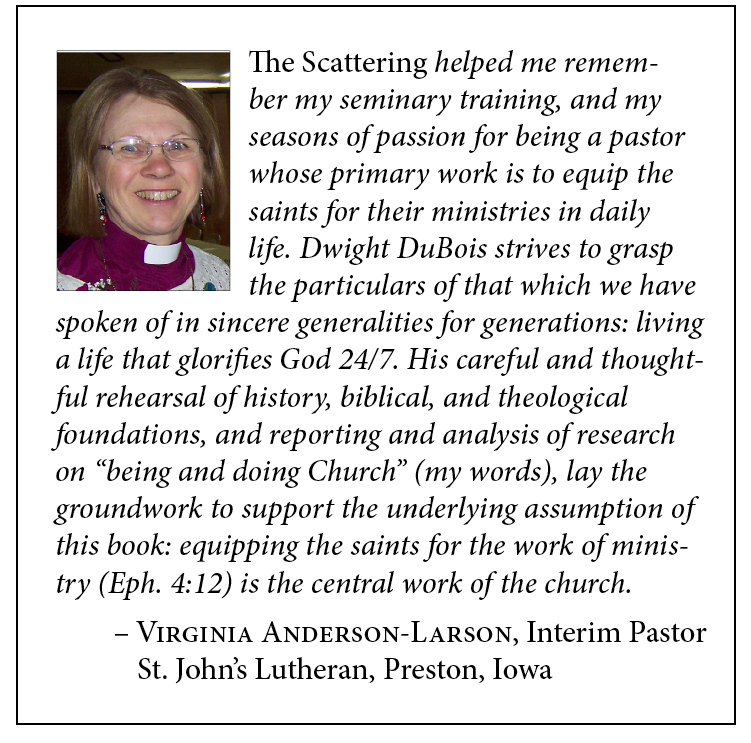 Dwight teaches courses on the connection of faith and life at Wartburg Seminary in Dubuque IA, at Luther Seminary in St. Paul MN, and at the Des Moines Pastoral Counseling Center. 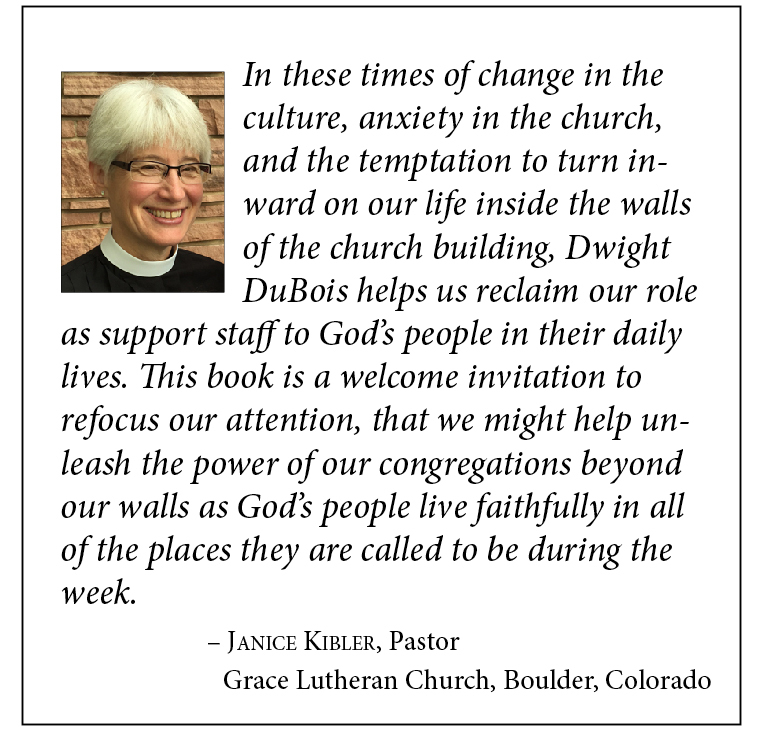 He is part of the team leading the ELCA’s Life of Faith Initiative. Dwight has presented at numerous conferences, workshops, and forums. Click here for a list of past and upcoming presentations. “Beyond Rubberband Workshops,” Alban Institute, Congregations magazine, August 2011. 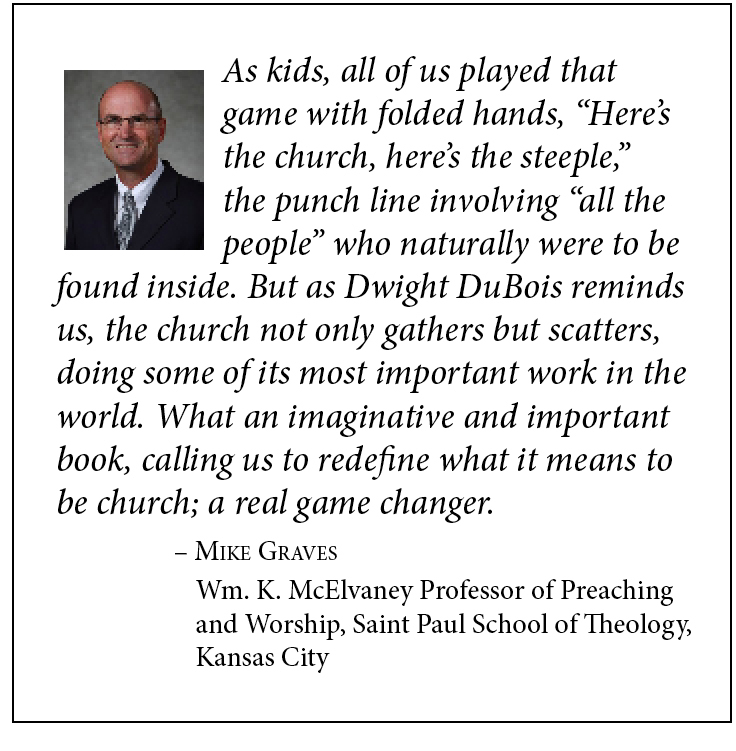 “Your Minister at Walgreens,” Alban Institute, Congregations magazine, April 2012. “Vocation: From worship to the world,” Living Lutheran magazine, May 2016. The litany for the ELCA’s 2017 congregational annual report cover. 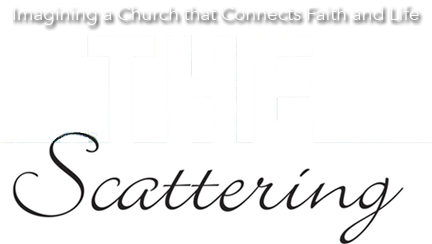 Stewardship for the Scattering in Luther Seminary’s Center for Stewardship Leaders weekly newsletter, April 2018. Dwight and his wife currently live in Des Moines IA. Click here for a downloadable and reproduceable copy of his picture.